The United States faces a chronic blood shortage. While about 38% of the population is eligible to donate blood, nationwide, less than 10% do and sadly in Arizona, only 3% do. The latest urgent call for blood donors is serious. Currently, Arizona is importing blood products from other parts of the nation. Around 4.5 million people would die every year if blood wasn’t available for life-saving transfusions. 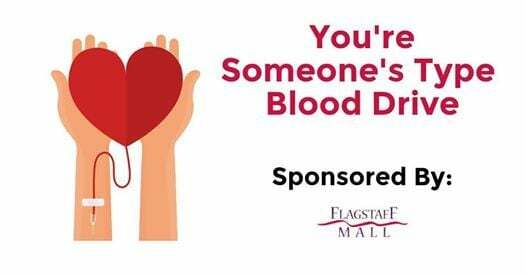 Please help Flagstaff Mall counter this terrible statistic by donating during the upcoming drive February 15-16.